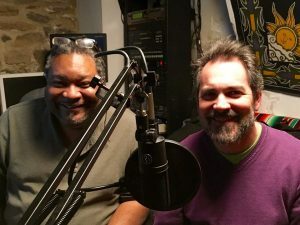 Music For the New Revolution – The podcast that answers the question; “Where are all of the contemporary protest songs?” David Heitler-Klevans and Rodney Whittenberg are painstakingly researching and seeking out those songs that speak to the problems we face today. Political commentary and protest in music, theater, art and dance are as old as Plato, Shakespeare, Michelangelo, Woody Guthrie, Lead Belly, Pete Seeger, and continue through the work of Gil Scott-Heron, Bruce Springsteen, Charlie Haden, Frederic Rzewski, Holly Near, Public Enemy, Billy Bragg, The Clash, Prince, Emma’s Revolution and Ana Tijoux. Music has the unique ability to communicate ideas, move people to action and change minds. We will feature recorded and live music, lively discussion and interviews. We will look at music from all genres and we welcome your thoughts, songs ideas and input. Welcome to Music For the New Revolution.